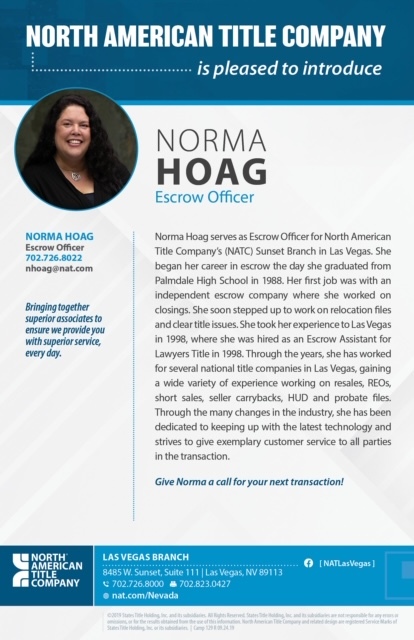 Norma Hoag's Team Marketing Info - Get to Know Me! We pride ourselves on closing on time correctly! 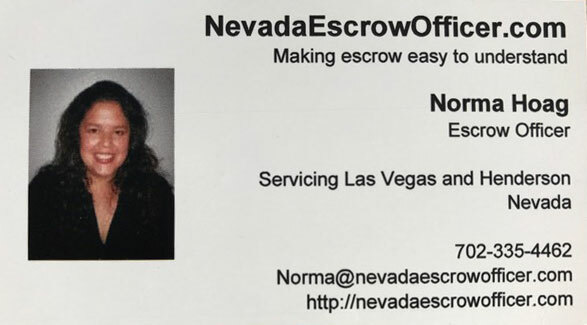 We do commercial and residential escrow transactions with Realtors and For Sale by Owner (FSBO) clients alike. We retain a wealth of knowledge in refinancing, probate, bankruptcy, short sales and complicated liens. You can rest easy.